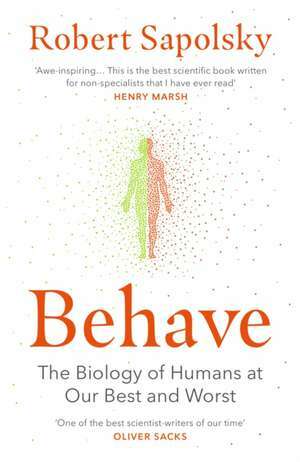 THE NEW YORK TIMES BESTSELLER'Awe-inspiring... You will learn more about human nature than in any other book I can think of' Henry Marsh 'One of the best scientist-writers of our time' Oliver SacksWhy do human beings behave as they do? 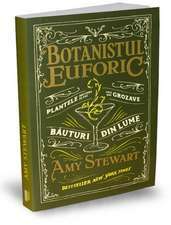 We are capable of savage acts of violence but also spectacular feats of kindness: is one side of our nature destined to win out over the other?Every act of human behaviour has multiple layers of causation, spiralling back seconds, minutes, hours, days, months, years, even centuries, right back to the dawn of time and the origins of our species. In the epic sweep of history, how does our biology affect the arc of war and peace, justice and persecution? How have our brains evolved alongside our cultures?This is the exhilarating story of human morality and the science underpinning the biggest question of all: what makes us human? 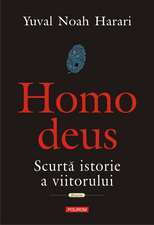 Random House – 25 May 2017 213.34 lei Economic 10-16 zile +18.36 lei 1-2 săpt.